Official statements / announcements from Crayon's Castle! All of the rules for Crayon's Castle! Looking for ways to interact with the Castle community ingame? This is the place to look for updates! New events coming soon! A place to learn about activities within the Castle. Post & get information about the Survival Build Battle! Teach each other your ways of Minecraft and more!!! Just keep it "school appropriate". Post an introduction here about yourself in a good old fashion meet and greet! 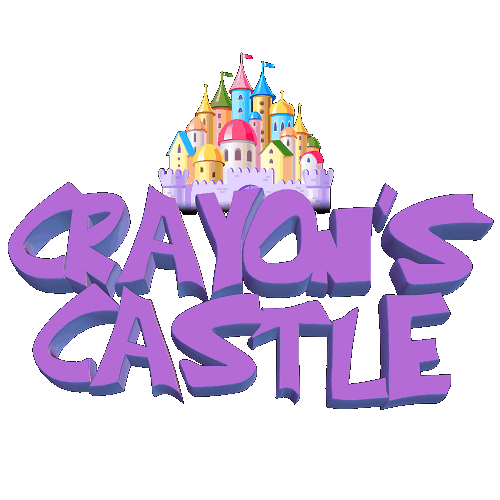 Have an idea to help Crayon's Castle become a better server? Think your idea is top notch? Post it here for public comment. We'll look through them regularly to bring you the best experience ever! All Accepted / Denied / Answered Suggestion threads! Suggestions for the KitPvP server. Suggest your *creative* ideas for our Creative Server! Think you have great ideas to make Survival the best server in the land? Post them here for all to see and comment! Think you can enhance our Skyblock server even more? Post your ideas and comment here! Want to get involved with different groups ingame? This is the place to find them! Looking for a faction to join? Look here for their recruitment efforts! Post your question here about Crayon's Castle and our wonderful community or staff members will help you find the answer! Have an idea that doesn't fit elsewhere? Post it here for all to see. Remember though, "school appropriate". Have you built something you want to show off? Showcase it here in our Castle photo album. Have you survived long enough to get something built? Showcase it in our Survival photo album here! Have an amazing build on our Skyblock server you want to show off? Post pictures here in our photo album! Showcase your best Base Builds here! The place for player and staff reports, ban appeals, bug issues, and donation issues. Apply to be a part of our build team here! This does not give you in game perks, but will give you gmc on our Build server. Think you have what it takes to achieve the coveted Youtuber Rank? Apply for it here! Found a staff that isn't doing their job correctly? Report them here. Found something not working correctly? Report it here for a member of management to check out! Have an issue with Buycraft? Report it here for management to look into.